I don’t know about you, but it’s virtually impossible for me to save regularly. My ends don’t meet nearly enough for recurring transfer to a savings account, and as a freelancer, I’ve learned to live with an irregular cash flow. So how can I save the money I know I should be putting in the bank? While there are lots of ways to make a little extra cash or trim a little spending to squirrel away into your emergency fund or toward a big purchase, it’s easier to build up that money when you don’t notice it disappearing from your budget. That means putting away a little at a time, in increments you’re not going to miss, but that will add up to a considerable total. That’s right — you’re going to be hoarding pennies. If you’re like me and struggle to save regularly, try one of these free apps and services that build automatic savings into your daily life. Digit is a service that links to your checking account, monitoring your daily spending habits and income history. Every two or three days, it uses that data to identify a small amount of money, usually between $5 and $50, it can safely set aside, then transfers that money to your new FDIC-insured Digit savings account. The company is so confident in their math that they have a no-overdraft guarantee! If they get the calculations wrong, they’ll cover your overdraft fee. When you want to access your money — whether it’s to pay for a financial emergency or because you’re ready to make a big purchase — you simply message Digit, and it transfers the money back to your checking account within 24 hours. Digit is free for the first 100 days; after that it charges $2.99 a month. Digit has mobile apps for both iPhone and Android devices. The service works with more than 2,500 banks in the U.S. Ever wanted to start investing, but worried that you didn’t have enough money? Acorns is a mobile app that lets you invest the leftover change from each transaction using your credit card, debit card or checking account. And right now it’s giving new users a $5 bonus to get started. Every time you swipe your card, Acorns will automatically “round-up” what’s left to the nearest dollar. If you don’t want to automatically round-up every purchase, you can manually choose your round-up transactions. I usually round up any transactions when the cents are over 50, like my $3.60 cup of coffee. I find this keeps me from taking too much from my checking account because I’m so eager to round up enough to invest. Rounding up 40 cents here and 25 cents there moves me swiftly enough to $5 so that I can begin investing without putting myself into the red. Unfortunately, Acorns doesn’t offer any overdraft protection guarantees, so you’ll need to manage it a little more closely than Digit. Once you have accumulated $5 worth of round-ups, Acorns will transfer that money from your checking account and you can invest it into your chosen portfolio. Acorns offers five types of portfolios, ranging from “Conservative” to “Aggressive.” They consist of various stocks and bonds, “diversifying across multiple asset classes,” similar to a mutual fund. Not a banking wizard? Are you totally lost when it comes to the stock market? Acorns makes it easy to invest by removing the responsibility of choosing individual investments or worrying about trades. You don’t need any previous investment knowledge or history. Simply choose your portfolio based on your age, income level and how aggressive you’d like to be with your funds. You won’t grow your money overnight, but you’ll see real-time returns on your investments. Like with any investment, your losses and gains are subject to market fluctuations. With a Conservative portfolio, I turned $15 into $19 within a few weeks. You can withdraw your funds at any time within three to five days, and it took the full five days for the funds to hit my bank account. Downloading Acorns is free, but you will pay a low fee to invest. If you have less than $5,000 in your account, you’ll pay $1 per month. Investors with more than $5,000 will pay 0.25% per year. The cool thing about Acorns is that you’re not simply monitoring your assets, you’re creating them. It’s a great place to store those leftover pennies from your Netflix and Hulu payments. Just round-up your transactions to the nearest dollar and let Acorns do the rest. It’s easy to see where Acorns got its inspiration; Bank of America’s Keep the Change savings program has been around since 2005. Every time you make a purchase with your debit card, Bank of America rounds up the next dollar and transfers the difference to your savings account. To join the Keep the Change program, you’ll need to a Bank of America checking account, savings account and debit card, but if you’re already a customer, it’s a good option. You can even monitor your extra savings through the Bank of America mobile app. This program takes some of the worry out of saving, since it’s all automatic. You do have to be mindful, though, and start thinking of your purchases in whole dollars, or you might overestimate how much is left in your checking account. Wells Fargo offers a special Way2Save savings account that transfers $1 from your checking account into your savings each time you make a debit card purchase, pay a bill online or make an automatic payment from your checking account. If you choose, you can also set up automatic daily or monthly transfers. As a Wells Fargo customer, I’ve found both pros and cons to this account. It’s nice not to manage the savings at all, since the program takes such a small increment automatically. The money in that savings account also acts as optional overdraft protection for your checking account, though since it takes money out of your checking account, it can also cause overdrafts if you’re not careful. Sometimes the money moving out of my checking account and into my savings account leaves me with a negative balance, so it gets pulled back out of my savings and back into my checking account — resulting in zero savings. However, this overdraft protection is optional and situation is pretty rare for me, occurring only when I use my debit card more than usual and not often enough for me to discontinue using the program. I have saved a substantial amount of money using Way2Save, easily the most I’ve ever been able to save with a bank account. Plus, it’s convenient because I can manage it within my Wells Fargo mobile app. These programs won’t replace the hard work of creating and sticking to a budget, but they do help you capture little bits of extra money and turn them into savings. 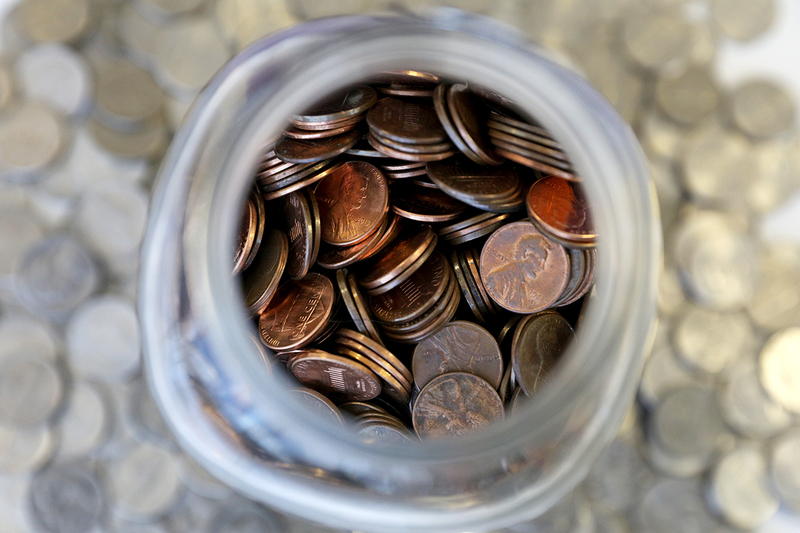 If you struggle with regular saving like I do, try capturing your extra pennies this way and watch them start to add up. CJ Reid is a writer, blogger, small business owner and consummate penny hoarder. When not freelance writing or editing, she is flipping furniture or doing transcription work.